The English-language premiere of Qiu Miaojin's coming-of-age novel about queer teenagers in Taiwan, a cult classic in China and winner of the 1995 China Times Literature Award. Set in the post-martial-law era of late-1980s Taipei, Notes of a Crocodile is a coming-of-age story of queer misfits discovering love, friendship, and artistic affinity while hardly studying at Taiwan's most prestigious university. Told through the eyes of an anonymous lesbian narrator nicknamed Lazi, this cult classic is a postmodern pastiche of diaries, vignettes, mash notes, aphorisms, exegesis, and satire by an incisive prose stylist and major countercultural figure. Afflicted by her fatalistic attraction to Shui Ling, an older woman, Lazi turns for support to a circle of friends that includes a rich kid turned criminal and his troubled, self-destructive gay lover, as well as a bored, mischievous overachiever and her alluring slacker artist girlfriend. 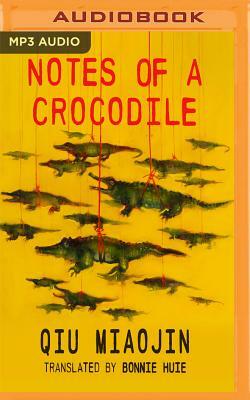 Illustrating a process of liberation from the strictures of gender through radical self-inquiry, Notes of a Crocodile is a poignant masterpiece of social defiance by a singular voice in contemporary Chinese literature.